In an increasingly bring-your-own-device (BYOD) world where employees are using personal smart phones or tablets for work, the simple act of printing can be frustrating for workers and burdensome for IT. That’s why Ricoh Americas Corporation today introduced a new cloud printing service, FlexRelease CX, which enables workers to simply press “print” and pick up their job at the nearest Ricoh device. Workers can send documents to the cloud from their mobile phones, tablets, laptops or PCs, and instantly retrieve them from any FlexRelease CX-enabled Ricoh printer or multifunction product (MFP) in the world. As a cloud service, FlexRelease CX requires little or no capital investment or IT involvement, enabling IT staff to focus on more strategic work. The secure print release service requires users to verify their identities with a user name and password to release a print job. FlexRelease CX’s time out feature helps reduce wasteful printing and unnecessary costs by allowing administrators to specify an amount of time a job is held in queue before automatically being deleted. Users can also control environmentally-friendly device features, such as two-sided printing, document resolution, and whether or not the document is in color. Ricoh FlexRelease CX supports all email-enabled mobile devices, and adds additional file upload and extended management features through an iOS app for iPad® and iPhone®. 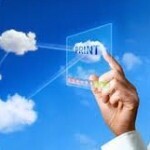 The FlexRelease CX solution also includes a print driver for direct print to cloud capability. The FlexRelease CX-embedded MFP client installs without external hardware on most A3- and A4-class Ricoh MFPs. 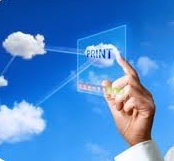 It should be noted that similar features are also available from members of the Cloud Printing Alliance as a private cloud solution.